With the SYOS mouthpiece I’ve discovered a whole new meaning to free blowing in any register without resistance and a warm but powerful modern sound that effortlessly manages any volume. Thanks Pauline! As one of Tejano Music’s most celebrated recording artists, Joe Posada is widely renowned by music lovers for having combined the sounds of Jazz and Tejano, thus creating a unique melodic fuse that has been found both intriguing and real by audiences. 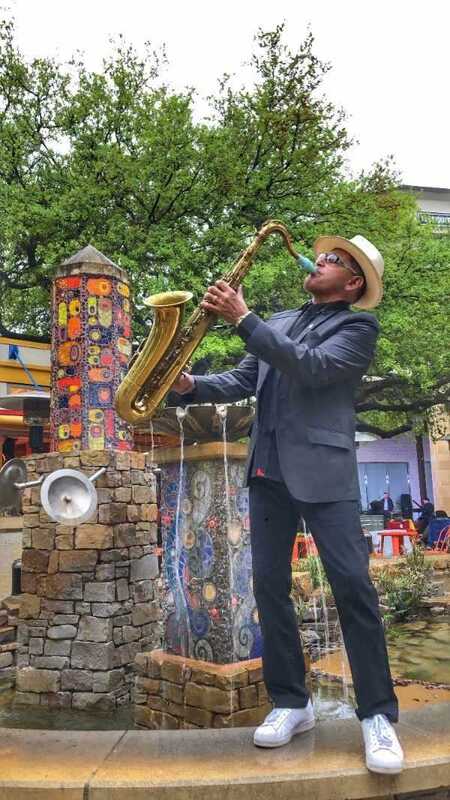 A native of San Antonio’s Westside, three-time Latin Grammy Winner, Posada began studying saxophone at the age of twelve. Though his parents were not musicians, Posada’s mother greatly encouraged her son’s study of music, so as to keep him off the streets and away from potentially bad influences. Posada played with various westside San Antonio neighborhood bands, including Rudy Tee and the Reno Bops. “I didn’t start singing until I joined Rudy Tee and the Reno Bops, and Red Gonzales had me doing back-up vocals on some songs.” Soon, came a brief period with Little Jr. Jesse and the Teardrops and Zapata. Soon after, David Marez convinced The Royal Jesters to hear Posada sing; as a result making Posada one of the three-part harmony voices on their album “The Band;” this followed with a three-year stint with the Royal Jesters. In 1976, Posada was voted in to Mike Chavez’s All-Pro Band. In the year that followed, David Marez left the Royal Jesters and founded People, along with Posada. This time also included work with George Morin and Momentus, as well as with the Al Sturchio Band and the original Sounds of the Spurs; all this before Posada finally founded his own band, El Quinto Sol in July of 1982. After this phase in his career, Posada seemingly dropped-out of the Tejano Music scene, realizing that within his own craft he still had very much to learn. He returned to his first love of Jazz, as well as delving into intense study of Music Theory. An incredibly versatile musician, the maestro’s musical reach grasps that of flute, piano, accordion, and up-right bass along with his signature instrument: saxophone! His latest all original Tejano CD titled “Zapatos en la Mano,” is his most experimental latest 2017 release featuring a new twist on the conventions of Tejano songwriting and composing. Title tracks “Zapatos en la Mano” and “Tres Opciones” are two noteworthy testimonies to Posada’s signature lyrical storytelling. A sought-after entertainer, versatile fountain of musical proficiency, and an unmatched source of melodious passion and ardor, Posada continues to enthrall audiences everywhere he goes; reminding them that great music and first-class entertainment is not at all a thing of the past!